​ HOUSTON – The American Cancer Society held a groundbreaking ceremony for the 76,000-sf Richard M. Schulze Family Foundation Hope Lodge. 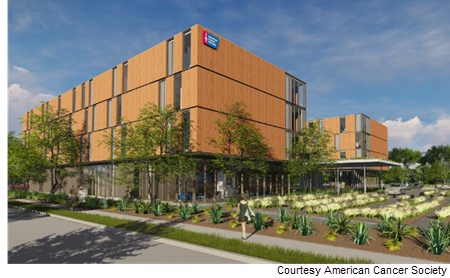 Located at 6801 Ardmore St. near the medical center, the $30 million facility will be the largest Hope Lodge in the nation, with 64 patient suites. The five-story Hope Lodge is expected to save patients more than $3 million annually in lodging expenses and will be available for patients 12-years-old and up.